Most of you will know the hilarity that is Aunty Acid and her cheeky comments, but did you know that she has a fantastic casino site? We at Mobile Bingo Bonuses introduce Aunty Acid Casino, a colourful and fun site with a huge range of high quality games and impressive bonuses. So if you’re a fan of great casino, scratch card and slot games such as Queen of Legends and Plushie Pleasure then this is the site for you! What makes this even better is the fact that Aunty Acid Casino is available on your smart phone including Android, iPhone and Tablet devices. So move away from the laptop and enjoy exciting games wherever you are. Playing on your mobile takes gaming into a whole new dimension because you can not only make those mundane chores such as walking the dog much more enjoyable, but you also increase your chances of winning a jackpot or two. With Aunty Acid Casino after you register you’ll receive £10 credit into your account, with no deposit required. This is a great way for you to really try out the site before parting with any of your own money. When you’re ready to make your 1st deposit you’ll be pleased to discover that you’ll receive a 100% cash match bonus up to £500. 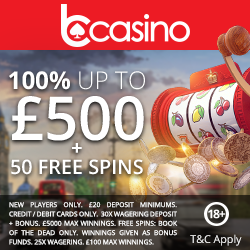 So if you take advantage of the maximum amount and deposit the £500, you’ll receive a further £500 bonus making a grand total of a whopping £1,000. But the bonuses don’t stop here because again on your 2nd deposit you’ll receive another 100% cash match bonus up to £500. 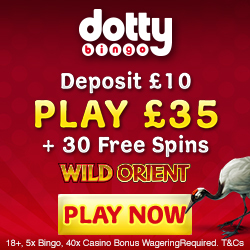 This means that over your 2 deposits you could receive a maximum £2,000, which we think is plenty of gaming credit. From the 3rd deposit onwards the bonuses keep coming with Aunty Acid Casino’s cash reload bonus. This basically means that if you deposit a minimum of £10 you’ll receive a percentage cash back on the amount added which could be up to 100%. Aunty Acid Casino even offer a weekly slots tournament where for a minimum £10 you could win up to £200. Check out the promotions tab and play the slot game relating to that set period, then if you’re the champion you’ll take away the prize. Most of us like to tell our friends about a great new book or movie so why not a casino site? For each friend you refer Aunty Acid Casino will give you an Amazon voucher worth £10. So the more friends you have the merrier you’ll be! They accept the usual banking methods including Credit and Debit card, U Kash, Paysafe Card, Neteller and Boku. So if you’re ready for fun and thrills, then head to Aunty Acid Casino and we’ll take you through to register.